Families on Foot | Blue Ridge Hiking Co. 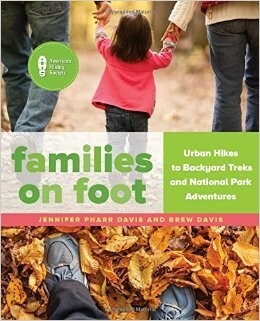 Published in partnership with the American Hiking Society, Families on Foot offers practical advice and engaging activities to make hiking even more fun for families. You'll find clever ideas and inspiration that apply to kids of all ages--from tackling diaper blowouts in the backcountry to using smartphone apps and GPS to engage teenagers with nature. Information for children with special needs and seniors also is included.